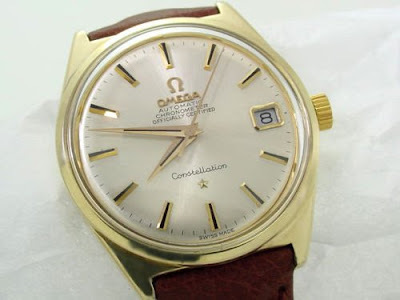 To continue the current series of posts on under-valued Omega Constellation models, the monocoque models 168.0015 and 168.0025 are reviewed. Based on this encouraging review, I caught one of these off eBay 3 years ago, had it CLAed locally but found that it would not reliably auto-wind. Finally had a chance to drop it for factory service while in Geneva in February. They said not much could be done with the face but when it was returned the appearance was greatly improved with a cleaner face and gleaming chapter marks, name, logo and hands. Winder rotor, date ring, crown, crystal and numerous other parts were replaced and the entire watch polished. 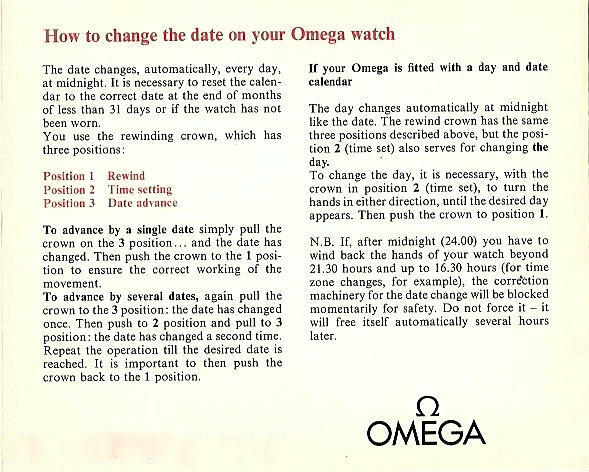 $700 may seem like a lot to service an old watch, but where can you get an Omega Constellation with two-year guarantee for that price? True. It may seem a lot but now the watch has been returned to its former glory, and with a service every five years it will give you years of trouble free time-keeping. You also raise an important issue in respect to these models and vintage in general. Aiming for a watch that doesn't show much wear and that has a movement that is in good condition is crucial.